A lovely natural teething toy in the shape of an pear. 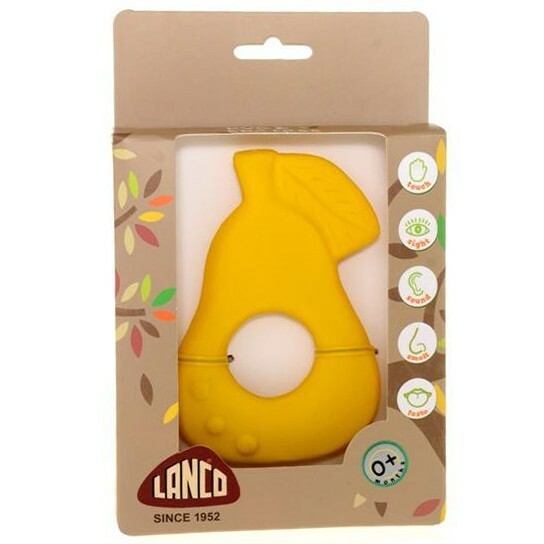 It's perfect for small hands to grab hold of with a hole in the middle and there's a textured leaf which help sooth sore teething gums. The rubber is a little bit squidgy, just right for a baby to have a good chew on and one end is a little firmer. Great for stimulating senses, entertaining baby and soothing sore gums.